If you think all housekeepers are the same, guess again. If you are you looking for a new approach to how your home is cleaned, prepare to be impressed. This office doesn’t cover your neighborhood? No problem! Type your zip or postal code and we’ll find another location for you. My house looks great when I get home. Everything is so clean and fresh. Employees are wonderful. Looking for a rewarding job in the housekeeping industry? Are you looking for a fun team enviroment with room for advancement? The Maids may be the career choice for you! 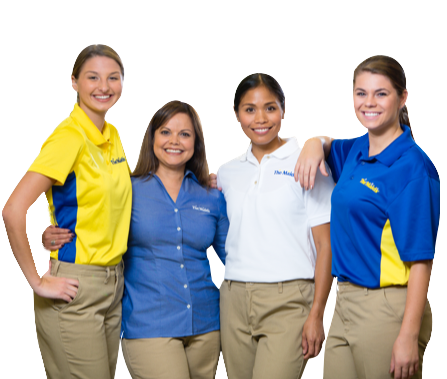 Search a variety of open house cleaning jobs or administrative positions in your area, such as maid, field or sales manager, or team leader.